The Department of Game and Fish is always seeking individuals statewide to become certified Hunter and Bowhunter Education Instructors to teach student classes, assist with hunter education camps and other department outreach events. The goal of hunter and bowhunter education is to reduce hunting related accidents and violations; promote safe, responsible and knowledgeable hunting; and enhance hunting traditions and values. Hunter and bowhunter instructors are volunteers who devote personal time and effort to ensuring the passing on of our hunting heritage to the next generation of safe, ethical hunters. One of the reasons that the department’s educational programs are so successful is due to the commitment and devotion of the volunteers who support them. We recognize that each instructor provides invaluable skills and expertise. They enable the department to provide the community with a wonderful opportunity and quality service. You can be crucial to the success and continuation of the Hunter and Bowhunter Education Programs and we appreciate you for considering joining our team! This webpage is a resource you can locate scheduled instructor workshops, trainings and pertinent information. You will also find updates that may affect you, your teaching team and your classes. 1. Submit the Volunteer Application and Background Check. 2. View and complete the Pre-workshop training. 3. Sign up for next available Instructor Training Workshop (see schedule below). 4. Complete a New Mexico Hunter Education Student Course if you have not already done so. Once you’ve completed all the above steps, you will receive certification from the department and will be qualified to teach or assist with classes and additional department outreach events. Call a member of the Hunter Education staff (see below) if you have questions. Thank you for your interest in giving back! (Note: If no workshops listed, please check page in future. Calendar is updated as scheduled). Current posting reflects confirmed dates of available workshops. Any posting that has a blue hyperlink to a workshop flier will also be available for registration using your Department CIN Account (Click Here to register). A posting that does not have a hyperlink is awaiting confirmation of facilities and/or locations and is not yet available for registration. Once confirmation is received, the posting will be updated and the workshop will be open for registration. For instructors whose certification has lapsed and wish to teach again, this online module will provide you the necessary training to reactive your status to allow you to begin teaching and assisting with hunter education courses offered by the Department’s Hunter Education Program. Depending on how much time has lapsed since your last hunter education activity will determine whether the refresher course and/or the reactivation course is best for you. This course also acts as refresher training for active instructors and counts toward continuing education hours. Recently an email was sent out regarding the implementation of re-testing options for our instructor-led courses. If you did not receive the email please click on the following presentation. 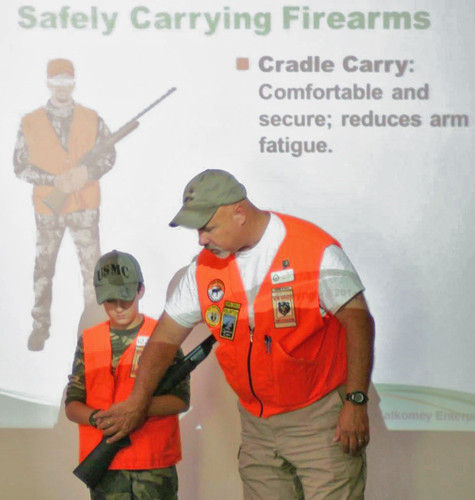 It is the recommendation of the Hunter Education and Shooting Sports Program’s that the following criteria be established for a safe and viable live fire volunteer program and to enable volunteers, such as yourself, to become more involved with the live fire events, classes and outreach initiatives offered by the department. 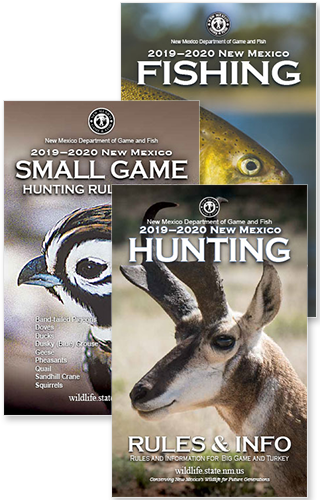 This brief online training module will provide you the necessary information and updates required to allow you to teach and/or assist with New Mexico Department of Game and Fish live fire activities sponsored by either the Hunter Education or Shooting Sports Programs. Click on the pdf below to access the training! The Hunter Education Manual is now available in Spanish. Contact the Hunter Education office if you should need a copy. Web links to articles and videos that may assist instructors in keeping up with new trends and techniques in hunting and shooting will be posted here frequently. If you take time to review any these videos, please contact the hunter education office and let them know the date(s) you reviewed the material and which training modules you viewed; this time counts toward your instructor Continuing Education credits to achieve Senior/Master Instructor benchmarks and to be eligible for additional instructor incentives. Public Speaking without Fear and Anxiety – by Dave Oakes. This two hour online training follows a workbook (see pdf download below) and will show you how to overcome the greatest obstacle in any communication situation: nervousness. In addition, the training will help you with planning your course presentations, controlling the teaching environment and the psychology of a great delivery. This training is also available for check-out in DVD format from each area Game and Fish Office. This training counts toward your required continuing education hours each instructor must fulfill to maintain their active status with the Program. Upon completion of this seminar, please contact a member of the Program staff to receive credit. Instructors must view at least 30 minutes of the below online training segments to receive Continuing Education credits to achieve Senior/Master Instructor benchmarks and to be eligible for additional instructor incentives. If you take time to review any of these online segments, please contact a member of the hunter education staff and let them know the date you reviewed the material and which segments you viewed to receive credit. FREE Online Trapper Education – The Association of Fish and Wildlife Agencies has developed a free online trapper education course that state agencies and other organizations can use to train and certify trappers. The online course covers all of the AFWA-approved national standards and learning objectives for trapping in North America. The site also features Best Management Practices for trapping 20 species of furbearers. To open each form, just click on the one you need then save it to your computer for future use. Happy New Year! Hopefully your 2019 has started off good. We here at Hunter Education have hit the ground running. We already have several classes scheduled and being conducted. As we start to get busier before the draw deadline, March 20, there are few items we would like to go over so that the process of scheduling and conducting classes runs smoothly for all. This will help to expedite posting your class. Please also have your supply request ready when scheduling your class. Since we do have a large number of classes being scheduled, this will help us send out your supplies timely, so they are not delayed or forgotten. If you will be picking up and/or dropping off supplies at the area offices, we ask the following protocol be used. When first arriving at the office do not bring in any supplies, first check in at the front desk. This has a dual purpose. The first is that the Albuquerque office will no longer be storing its bulk supplies in the main building. The second purpose is for all area offices, there are several new department employees in the offices and this will help them direct you to the right person. After checking in, you will then be directed on where to take the supplies, or to drive around to a warehouse. Please remember when scheduling your class, the HE staff will ask if you have any re-test spots available. This is to accommodate students re-testing during your class, which have previously failed at another class. You can choose to re-test immediately after class, if it is in line with the re-testing protocols. However, if you choose not re-test after class please remember to notify the failed students of their option to re-test at another class. If you need to review the new re-testing options please go the workshops/training tab of the HE instructor page. This is just a reminder that if you conduct a field day course, the minimum age is now ten. With this change please follow the guidelines for ten year olds regarding reading the test to them and a responsible adult present at all times. When your class is complete, please send a copy of the final report and roster in via fax or email for expedited processing. Please keep in mind that we will not process a roster without the final report. This is to ensure that there are no mix-ups when awarding a pass status to students. The originals are still needed and can be mailed via regular mail. Don’t forget all instructors must sign the final report. A good habit to have is to sign the final report when you first arrive to class. There are still a couple of camps that are pending final dates. We will keep you posted. As always thank you for your dedication, it is much appreciated. We would not be able to reach all the areas of the state without your help. Your time and wisdom are still very much needed!